Manchester Airport is celebrating another month of growth after passenger numbers increased by 3.8% in March. The figures show that the airport welcomed 2.1million passengers in March, which was driven largely by European traffic as passengers flew off on skiing holidays and short breaks. During the last 12 months, passengers have returned to Egypt, Tunisia and Turkey. Egypt saw 23% growth whilst Turkey saw 29% growth with holidaymakers taking advantage of flights to Antalya, Izmir, Dalaman and Bodrum. Andrew Cowan, CEO at Manchester Airport, said: “It’s been another positive month of growth for the airport and another strong year. “Following the loss of Monarch, we have worked hard to backfill capacity and it’s pleasing that as the financial year closes out, we’ve not only done that but continued to grow. 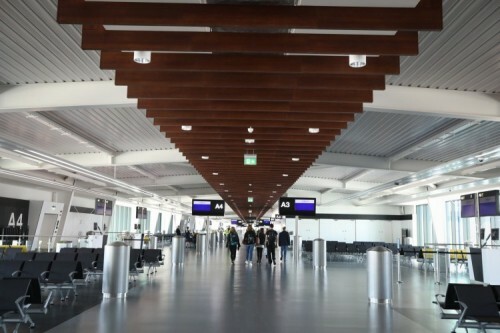 We now look ahead to what is set to be another busy summer for the airport as we welcome more passengers than ever before.